Below are the speakers who presented at the now-concluded May 2014 Embedded Vision Summit West. Goksel Dedeoglu, Ph.D., is the Founder and Lab Director of PercepTonic, where he formulates optimized embedded vision solutions for clients with temperamental algorithms. Thanks to the doctoral program at the Carnegie Mellon Robotics Institute and seven years with Texas Instruments' R&D labs, Goksel is a recognized expert in Computer Vision with product contributions in automotive safety, video security, and gesture recognition. Goksel has a track record of twenty patent applications and nine peer-reviewed technical publications. 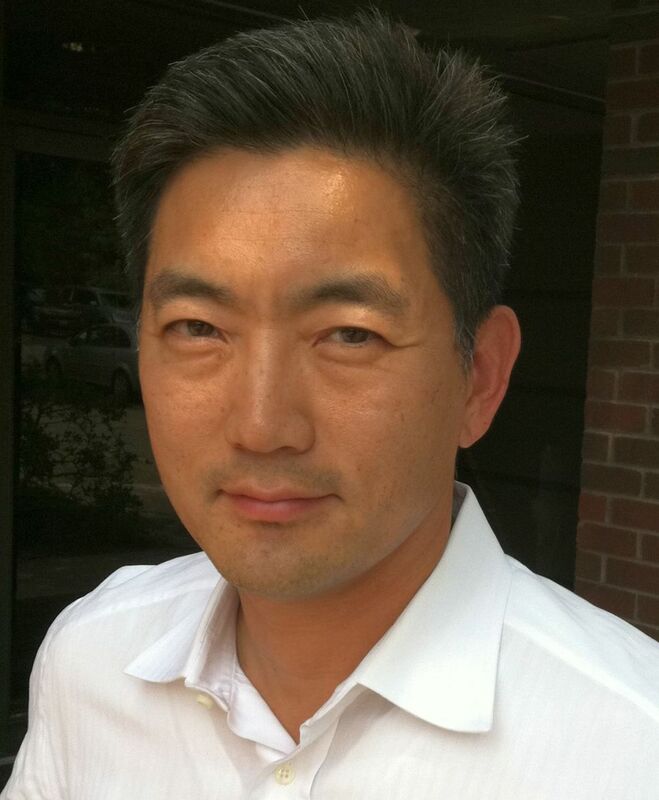 He is a frequent speaker at the Embedded Vision Alliance, and the Program Chair for this year's Summit. Nathaniel Fairfield is a technical lead on Google's self-driving car team. He works on special projects, and led the engineering effort behind the "Self Driving Car Test: Steve Mahan" video on YouTube. Dr. Fairfield received his PhD from the Carnegie Mellon University Robotics Institute where he worked on robots that explore and map complex 3D environments, like flooded caves in Mexico. Before that, he worked at Bluefin Robotics, in Cambridge Massachusetts, building robots that map the ocean floor. Harris Gasparakis, Ph.D., is AMD’s OpenCV manager. In addition to enhancing OpenCV with OpenCL acceleration, he is engaged in AMD’s Computer Vision strategic planning, ISVs, and AMD Ventures engagements, including technical leadership and oversight in the AMD Gesture product line. He holds a Ph.D. in theoretical high energy physics from YITP at SUNYSB. He is credited with enabling real-time volumetric visualization and analysis in Radiology Information Systems (Terarecon), including the first commercially available virtual colonoscopy system (Vital Images). He was responsible for cutting edge medical technology (Biosense Webster, Stereotaxis, Boston Scientific), incorporating image and signal processing with AI and robotic control. Ori Inbar is the co-founder and CEO of AugmentedReality.org, a global non-for-profit organization dedicated to advancing augmented reality (AR). AugmentedReality.org's mission is to educate and promote the true potential of AR, and to hatch augmented reality startups that offer unique value to its active users. In 2009, Ori was the co-founder and CEO of Ogmento, one of the first venture-backed companies conceived from the ground up to develop and publish augmented reality games - games that are played in the real world. Ori has been an enterprising champion of the augmented reality industry since 2007 and helped popularize AR. In 2010, he co-founded the Augmented World Expo - the world's largest and most influential conference for AR - now in its 5th year. Ori is a recognized speaker in the AR industry and lecturer at NYU, as well as a sought-after adviser and board member for augmented reality startups. Bruno Lavigueur is Embedded Vision Subsystem Project Leader at Synopsys where he is working on the architecture design and programming tools for parallel vision subsystems. Prior to this, he worked 10 years at STMicrolectronics on different heterogeneous multi-processor system-on-a-chip for multimedia applications. Bruno holds a B.Eng. in computer engineering and a M.Sc in electrical engineering from École Polytechnique de Montréal. Yann LeCun is Director of AI Research at Facebook and Silver Professor of Data Science, Computer Science, Neural Science, and Electrical Engineering at New York University, affiliated with the NYU Center for Data Science, the Courant Institute of Mathematical Science, the Center for Neural Science, and the Electrical and Computer Engineering Department. He received the Electrical Engineer Diploma from Ecole Supérieure d'Ingénieurs en Electrotechnique et Electronique (ESIEE), Paris in 1983, and a PhD in Computer Science from Université Pierre et Marie Curie (Paris) in 1987. After a postdoc at the University of Toronto, he joined AT&T Bell Laboratories in Holmdel, NJ in 1988. 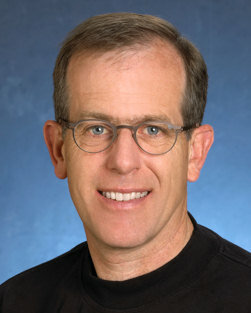 He became head of the Image Processing Research Department at AT&T Labs-Research in 1996, and joined NYU as a professor in 2003, after a brief period as a Fellow of the NEC Research Institute in Princeton. From 2012 to 2014 he directed NYU's initiative in data science and became the founding director of the NYU Center for Data Science. He was named Director of AI Research at Facebook in late 2013 and retains a part-time position on the NYU faculty. Rajesh Mahapatra is an Engineering Manager in Software and Tools Engineering at Analog Devices India. He specializes in video, image and digital signal processing. He started his career two decades ago at BPL Telecom Ltd and has built several interesting products in speech processing applications. He joined Analog Devices in 2000 and currently leads the Software and Tools Engineering in India. He has led development of more than 40 software modules such as video codecs, computer vision solutions and GUI-based tools on ADI DSPs. He holds a Bachelor Degree in Electronics and Communication from NIT Trichy. Avinash Nehemiah is the product marketing manager for Computer Vision at MathWorks. Avinash has 10 years of experience in computer vision, and prior to joining MathWorks he lead a team that created a computer vision based solution for patient safety in hospital rooms. Avinash has a Master’s degree in Electrical and Computer Engineering from Carnegie Mellon University, where his research focused on object recognition in radar imagery. Adar Paz is an Imaging and Computer Vision Team Leader at CEVA. Over the last 10 years, he has conducted research in the areas of video and image processing and has developed on a variety of DSP platforms. Adar has a B.S.C in Communication Systems Engineering and a M.A. in Bio-Medical Engineering. Dr. Chris Rowen is a Fellow at Cadence Design Systems. Rowen was formerly Chief Technology Officer at Tensilica, which he founded in July 1997 and which Cadence acquired in 2013. He was a pioneer in the development of RISC architecture at Stanford in the early 1980s and helped start MIPS Computer Systems Inc. in 1984, where he served in a variety of functions including Vice President for Microprocessor Development. When Silicon Graphics purchased MIPS, he became the technology and market development leader for Silicon Graphics Europe. In 1996, he became Synopsys’ Vice President and General Manager of the Design Reuse Group. He received a B.A. in physics from Harvard University and M.S. and Ph.D. in electrical engineering from Stanford University. Neil has spent over thirty years in the 3D graphics industry and is currently responsible for driving the apps ecosystem on NVIDIA Tegra mobile devices running Android and Windows RT. Neil is the elected President of the Khronos Group where he initiated the OpenGL ES standard, helped create the WebGL initiative and chairs the OpenCL and EGL working groups. Khronos is defining open, international standards for advanced compute, graphics, vision, audio, vision and sensor processing on a wide range of mobile, embedded and desktop systems – many of which will form the foundation for accelerated Augmented Reality applications. Kees Vissers graduated from Delft University in the Netherlands. He worked at Philips Research in Eindhoven for many years on Digital Video system design, HW-SW co-design, VLIW processor design and dedicated video processors. He was previously a visiting industrial fellow at Carnegie Mellon University and UC Berkeley, as well as a director of architecture at Trimedia and CTO at Chameleon Systems. Today he is heading a team of researchers at Xilinx on next generation programming environments and applications, high-performance video systems, wireless applications and new datacenter applications. He has been instrumental in the architecture of Zynq and the High-Level Synthesis technology. The artist’s portraits of Embedded Vision Summit speakers shown on this page were drawn by Kurt Salinas using the neo.1 smart pen from NEOlab. The pen uses embedded vision to determine which page the user is currently writing on, as well as determining its location and movement on the page. The neo.1 is powered by CogniVue’s low-power embedded vision processor. For a video of the neo.1 in action, click here.